"Through the efforts of the members of the firm of Watkin's Coal Company, and the courtesy of Mr. F.A. Potts, an invitation was extended to golf playing members of the New York coal trade to participate in a golf tournament at Lakewood Country Club, Lakewood, New Jersey October 17th and 18th, 1913. "The tournament was so successful and such a spirit of good fellowship developed, that it was decided by those present to form a permanent association. A committee on By-Laws was appointed. It was suggested that after the By-Laws had been written, a meeting be held in December to formalize the new Association." Just like today's professionals, the early twentieth-century coal executives were quite competitive and exhibited good fellowship. These traits spilled over into social activities like golf and smokers. 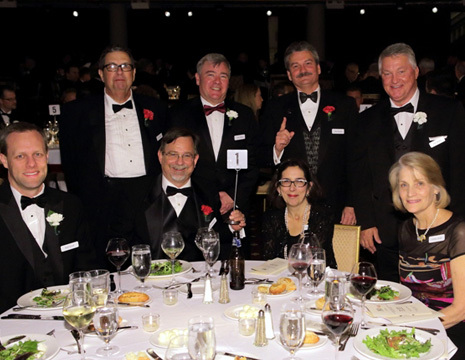 Membership grew rapidly as the association provided a means to meet with other coal professionals and a relaxed business environment to socialize with customers and associates. 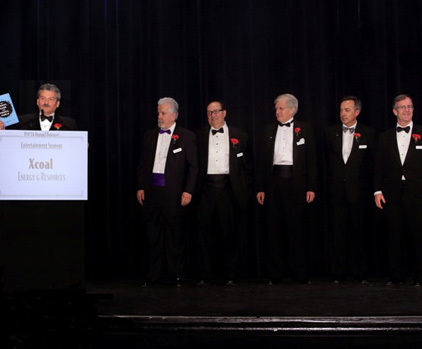 The original bylaws have been amended many times since the founding of the association, but the objectives and procedural conduct have remained nearly identical to those of the founders. Coal has seen many booms and declines over the years but continues to survive by adapting to the requirement of the times. From the Great Depression to the Second World War, through the strict emission standards of the last decades, and the corporate consolidations of recent times, coal continues to go to market. Members of the association have also changed and adapted with the times while keeping to the original aims of the Founders. The early individual traders, promoters, and developers of coal have changed with the development of large integrated coal companies, which both produce and market. Today's association reflects this and has widened its membership to include industries that serve coal, such as transportation, quality control, exploration, and production services. 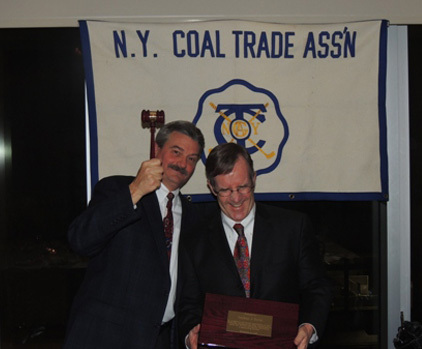 While the association is headquartered in New York City, it has members throughout the United States, reflecting its commitment to coal and the members who serve the industry. With this broader embracing of coal, the association continues to keep its traditions and ceremonies that have served so well for much of the twentieth century. 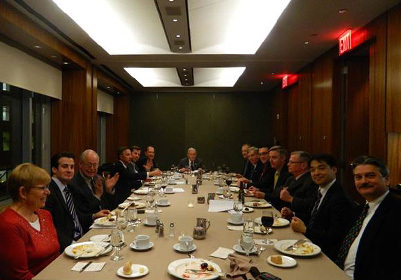 The always exciting and prestigious New York business environment continues to provide plenty of famous New York locations for developing good fellowship. 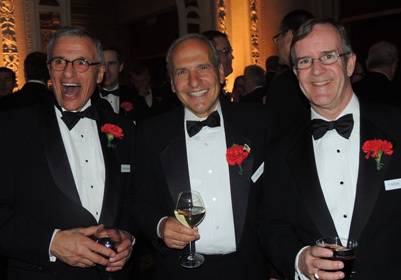 These include the New York Athletic Club, Hotel Biltmore, Pennsylvania Hotel, The Waldorf Astoria, Park Lane, Metropolitan Club, The Plaza Hotel, The Friars Club, Keens Chophouse, and other storied venues. A book for each NYCTA member depicting the history, the personalities, and the changes that the NYCTA has undergone during the last one hundred years (Adrian Bethray). A very special, personalized gift for each member commemorating our Centennial Year (Vince Furtkevic). Banquet Entertainment with a "wow" factor (Larry LaCosta & Rick Thomas). A post-banquet seminar speaker of a very high caliber (Steve Doyle). John Eaves, CEO of Arch Coal, served as our post-banquet seminar speaker! A major effort to support our senior members in attending the centennial banquet (the whole committee). 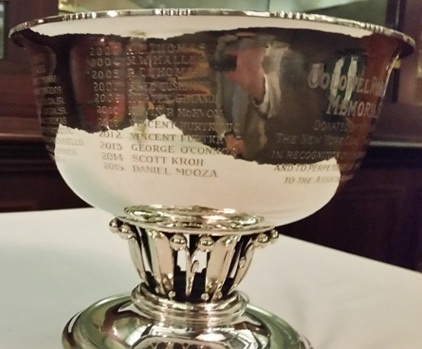 A Foxwoods golf and poker outing on steroids (Kevin McEvoy). The Fall Members Outing was held at the Glen Ridge Country Club and open to guests (Steve Doyle). A special "100-year digital banner" for the website, marketing, and use by sponsors. An all-out onslaught for sponsorship to fund our Centennial Year (Steve Doyle and Dan "The Hammer" Mooza).